I’ve been dreaming a lot lately. I’m often dreaming, but lately it’s been a lot. As I drive home from work I look at the houses, thinking about which one I would like to own. I hear a name and I think about if I’d like to name a baby that. I think of trips I want to take and when and with you. I look on job boards and try and picture myself in these positions. What kind of puppy would I like best? Because I most definitely want a puppy. But in all this dreaming, I don’t consider the cost. When I own a house there’s going to be all this work and a huge mortgage. And don’t even get me started on how much work and money a baby is. Or the trainer baby…a puppy. These things will probably leave me no time or money to travel anyways. However, when done right, I don’t think dreaming takes away from the present; I think it adds to it. I think it creates a state of joyful expectation. That’s the beauty of dreaming. We NEED to dream and hope, especially now when we’re young and there’s so much to look forward too. Does dreaming lead to discontentment? I think it can, and I have to be careful of that. 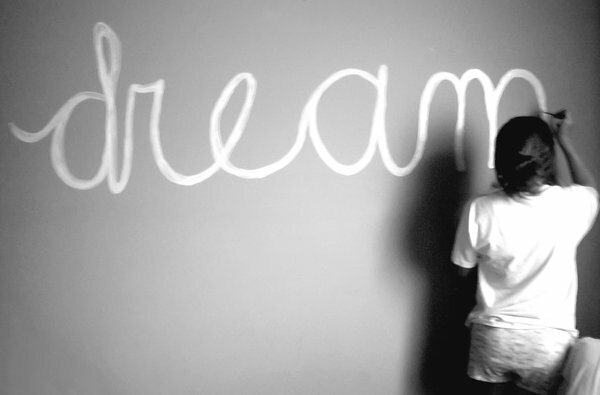 But I also think dreaming gives me hope and lets me live my current life with joy and thankfulness. There’s a lot of bad that will happen in the future, and that’s why we need to focus on the good. We need to focus on the source of all the good and all of His promises. We sang this song in high school at a pops concerts- I couldn’t resist posting, since it was playing in my head the whole time I wrote this post.